Swedish metal warriors In Flames apparently can't get enough of North American crowds these days, having announced yet another big batch of dates to help support their latest long-player, Siren Charms. As previously reported, the group will be linking up with Massachusetts metal crew All That Remains at the end of the month for a trip that will bring them through West Coast Canada and the Prairies. Together with openers Wovenwar, they'll hit up Vancouver, Kelowna, Edmonton, Calgary, Saskatoon and Winnipeg. 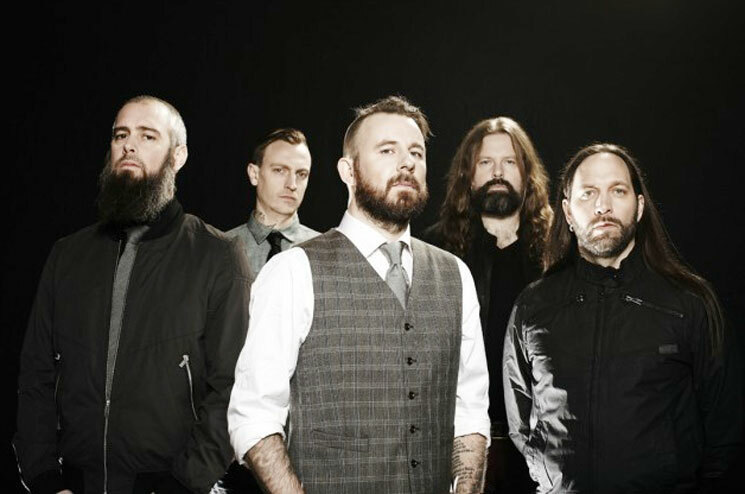 Another leg of the tour was revealed today (February 4), confirming In Flames will take a brief pause in March before jumping back on the tour circuit in April. All That Remains will rejoin their headliner hosts, while gruff-and-tough Maryland prog-metal unit Periphery will handle opener duties. This portion of the tour brings the band through Quebec City and London, ON, in May. You'll find the updated tour schedule, which includes a few U.S. festival dates, down below. At the bottom of the page, you'll also find In Flames newly premiered Exclaim! TV session for Aggressive Tendencies.